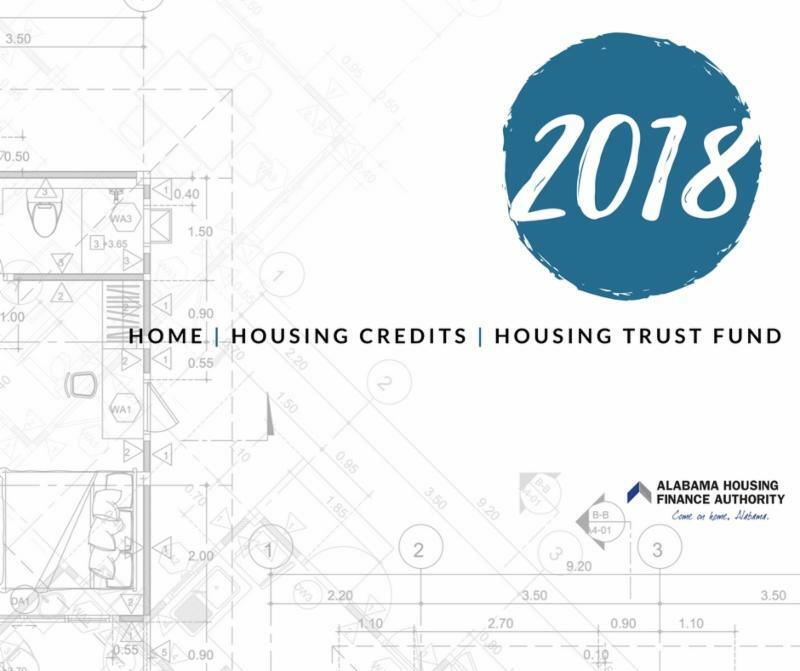 On June 12, AHFA announced the 20 multifamily housing developments selected by its board of directors to receive awards of 2018 HOME Investment Partnerships Program funds and/or Low-Income Housing Tax Credits. ﻿Of the approved applications, 11 are for new construction developments, and 9 are for the acquisition/rehabilitation of existing housing stock. A total of 1,103 housing units are expected to be built or renovated. In addition, the board voted to award funds from the Housing Trust Fund to Elm Street West, a proposed development in Montgomery. For a listing of funding approvals, visit http://bit.ly/2miRlc9 . 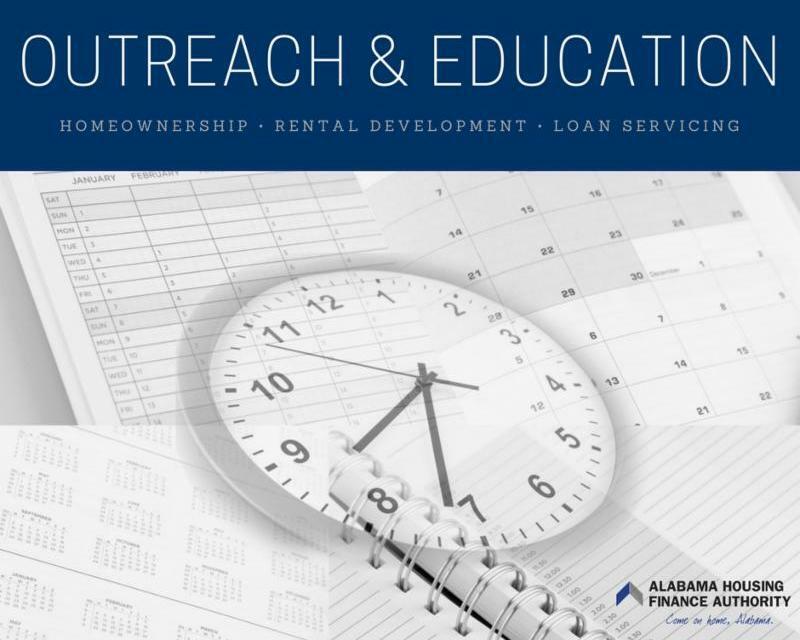 AHFA conducted a public hearing on June 26 in Montgomery concerning the proposed 2019 HOME Investment Partnerships Program Action Plan and the Housing Credit Qualified Allocation Plan. ﻿AHFA continues to accept written comments through July 26. All written comments must be submitted using the AHFA 2019 Plan Comment form, available at http://bit.ly/2i82idW . AHFA will accept applications for the National Housing Trust Fund Program (HTF) on Wednesday, July 25th. The National Housing Trust Fund ("HTF") was established by Congress under Title I of the Housing and Economic Recovery Act of 2008. HTF is a formula grant program to be administered by the states. 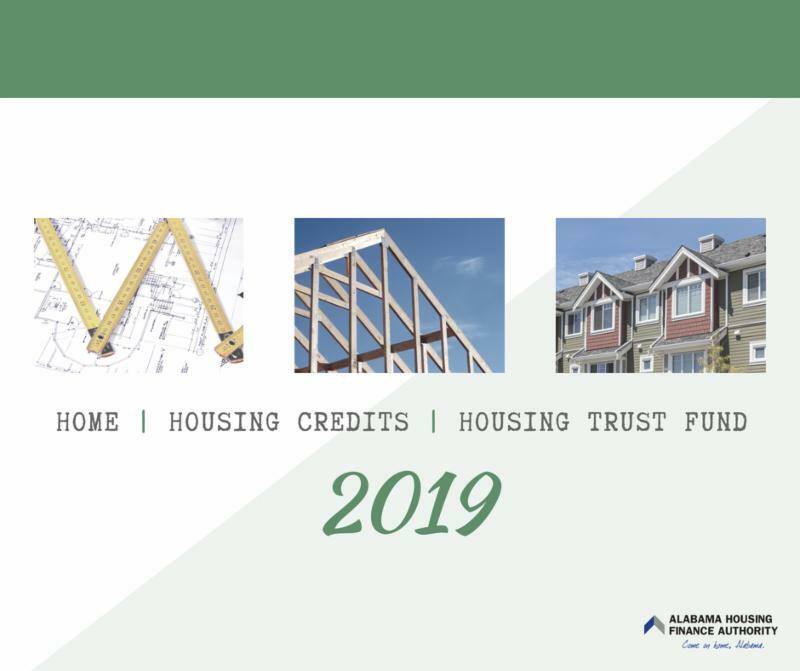 AHFA's HTF Plan is designed to provide funds to develop new construction of decent, safe and sanitary rental housing, with an initial preference for extremely low-income homeless or transitioning veterans located primarily in underserved rural areas. The application process for the summer sub-cycle has been modified from the process described in AHFA's 2018 Application Package. Please visit http://bit.ly/2IzN6D6 for full details. Voting is underway now for the winners of AHFA’s “Your Home. Your Story.” Selfie Contest! 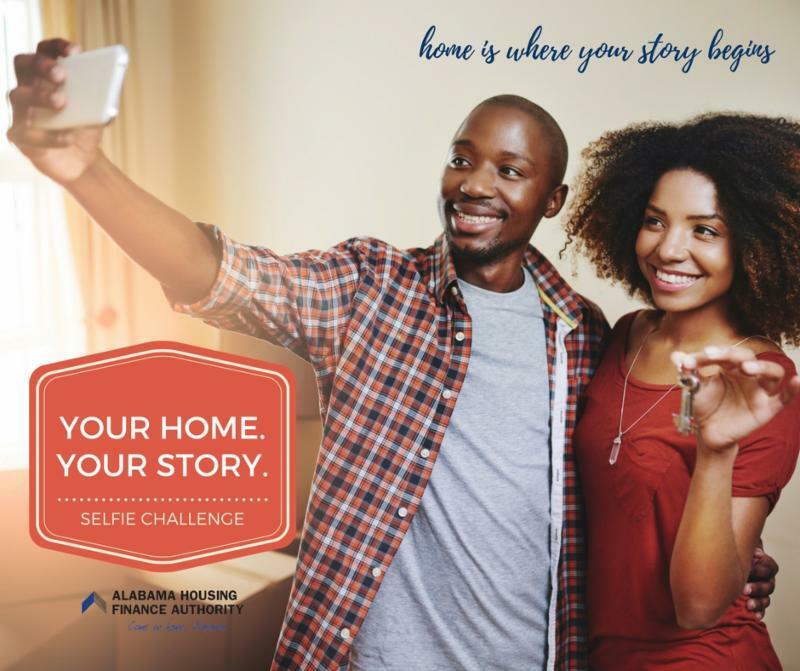 The contest was held to celebrate National Homeownership Month and was open to anyone who used an AHFA program to buy their home (or who closed on a home in June using an AHFA program). Entrants simply snapped a selfie and told us about their homebuying story. Voting began July 1 and will run through 11:59 p.m. CST on Saturday, July 7. Facebook users can vote for their favorite selfie by liking a photo in the gallery. The customer with the most likes will win a $500 Visa gift card; 2 nd place will win a $250 Visa gift card; and 3 rd place will win a $100 Visa gift card. Vote for your favorite here! 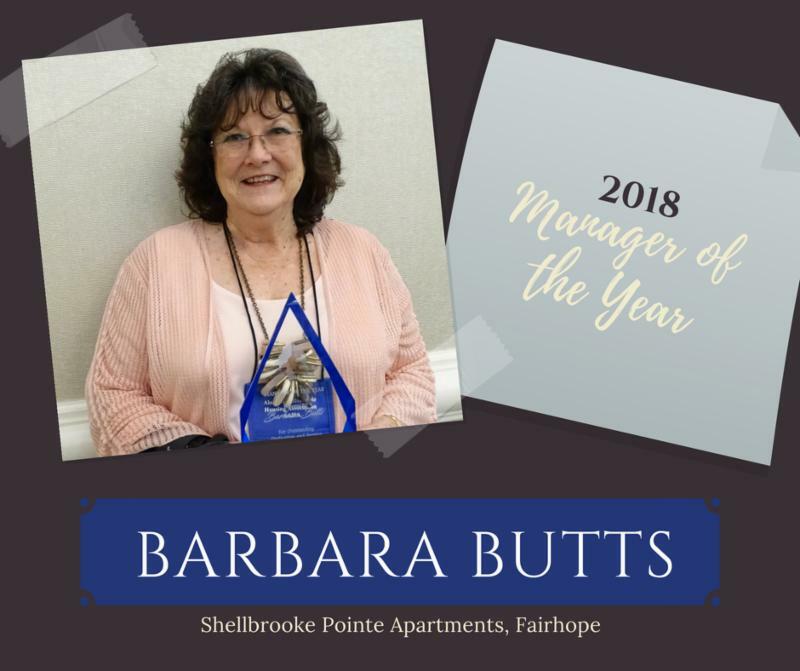 Barbara Butts, manager of Shellbrooke Pointe Apartments in Fairhope, was recently honored as AHFA’s 2018 Manager of the Year (MOTY). Now in its 21 st year, the MOTY award recognizes outstanding management staff at AHFA-funded developments. Butts oversees the daily operations of the development’s 96 affordable housing units. Her nomination package, by Gateway Management Company, includes 32 letters from residents, coworkers, city officials, service agencies, and community leaders praising Butts’ character and reputation. 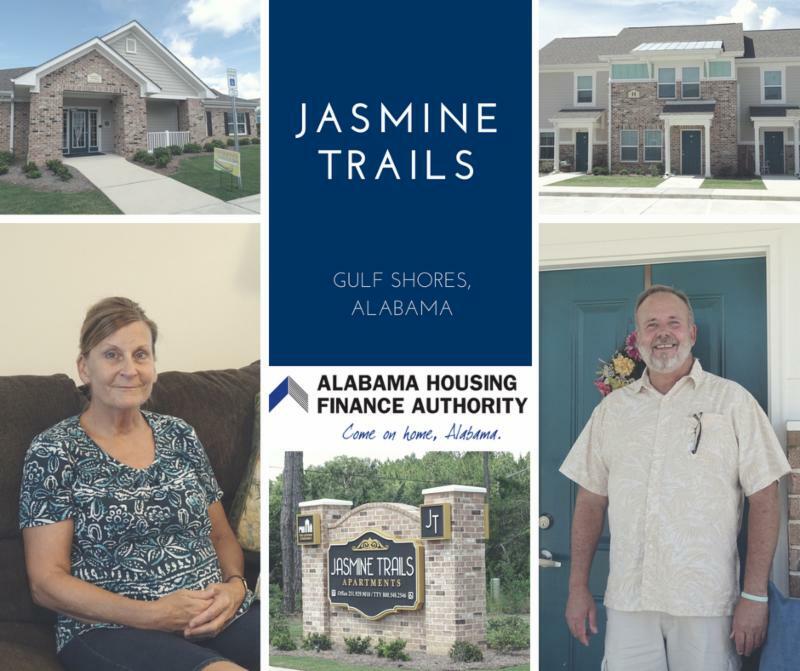 On a recent sunny summer day, AHFA staff members toured Jasmine Trails, an AHFA-financed housing development in Gulf Shores, which opened last November. The 72-unit development was fin anced in part by $828,342 in 2015 Housing Credits. Residents Joyce Swaggart and Alan Carnrike, who spoke at the development's grand opening, shared their homes and their stories with us. Joyce Swaggart, a cancer survivor, left her previous apartment home after severe mold issues started to impact her health. Now, she is healthier and happier in her brand new unit at Jasmine Trails. She said, "I was just so grateful to be able to find this apartment. The rent was pretty much the number one factor. I'm disabled right now, and it is such a blessing to me. I have full comforts. I don't have to scrimp and save on groceries. I am able to have some money left over that I can save." AHFA is pleased to welcome LeaderOne Financial Corporation as a participating lender in the Mortgage Credit Certificate program. 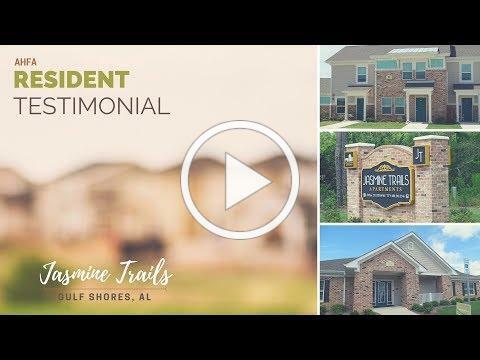 LeaderOne is conveniently located in Wetumpka to serve potential homebuyers. ﻿For more information, visit http://leader1.financial/ . Loveman Village was constructed in the early 1950s with 500 units. At that time, it represented a significant upgrade in terms of the quality of housing available for lower income and underserved residents in Birmingham. In recent years, not so much. Loveman Village was a prime candidate for redevelopment for many reasons, and its revitalization has the potential for impacting the near west side of Birmingham and can be a catalyst and foundation for additional improvements planned in the neighborhood. 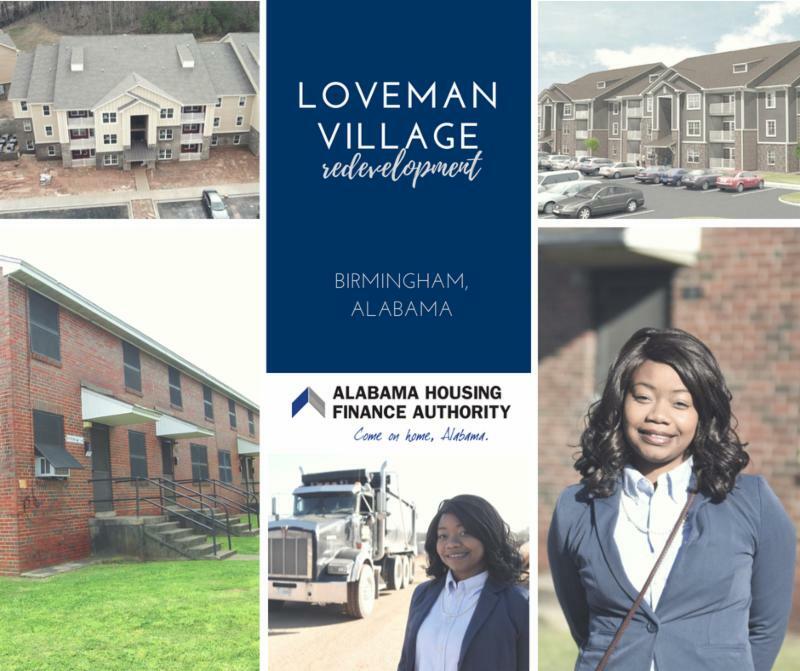 Working with the Housing Authority Birmingham District (HABD) and supported in part by AHFA funding awards, Hollyhand Development is redeveloping Loveman Village in three phases. Though outdated, Loveman Village still counted 246 residents when the redevelopment got under way in 2016. One of those residents, Adriene Gadsden, attended a HUD Section 3 job fair for HABD residents hosted by HABD and Hollyhand Development. Gadsden was identified as a potential candidate for an apprenticeship program available with Hollyhand Development. She interviewed and was selected. In this role, Gadsden has used her computer skills to chart, on a building-by-building level and by resident family, the relocation options and choices for residents. She also has attended meetings with HABD and city officials to learn more about the development process. In addition, she is training to help produce a video of the process involved with the redevelopment. This whole process has given her input and insight into the redevelopment of the property that is her home. 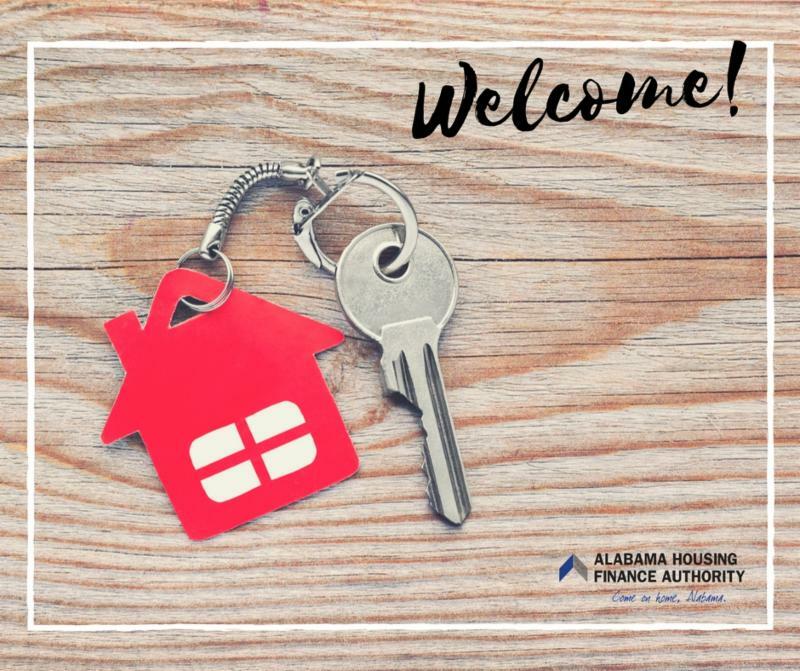 Broker Anita Dawkins with Community1st Real Estate in Dothan recently told AHFA, "As the first agent to bring the Step Up program to Dothan in 2009, I have been so successful with helping homeowners understand the process and the fundamentals of purchasing. I thank the state for this program. It has helped a lot of my customers purchase homes at an affordable price. Thank you again, AHFA!" 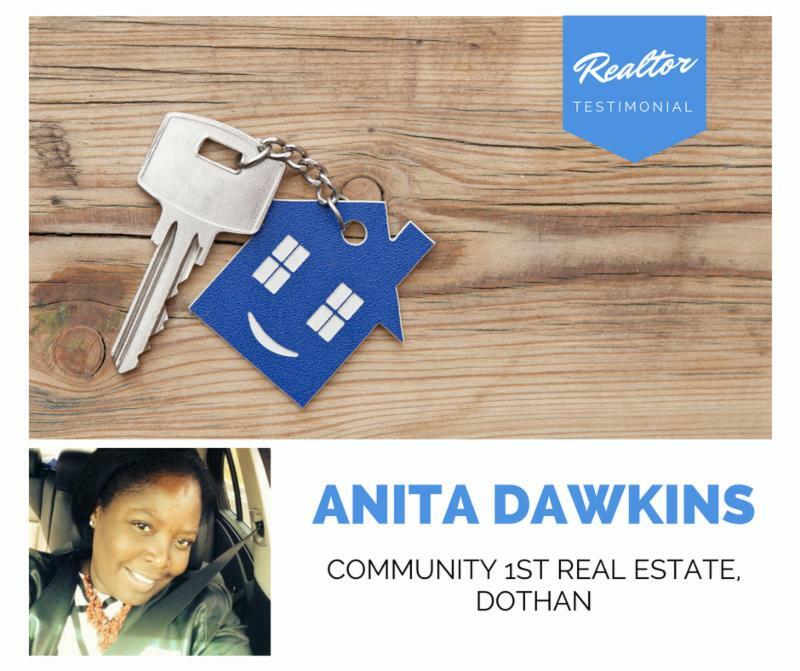 Anita, thank you for getting the word out about AHFA's programs and for helping Dothan's homebuyers! 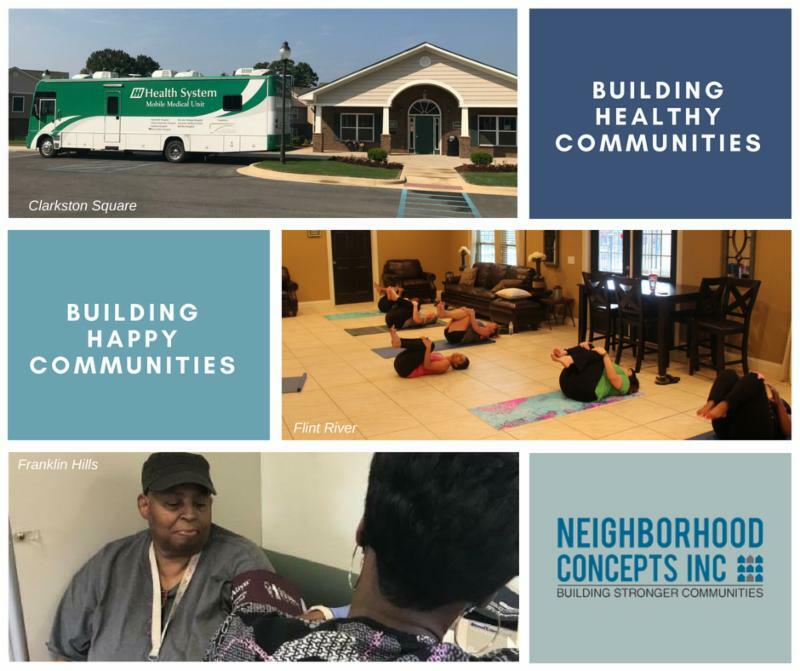 Recognizing that quality affordable housing is only one component of healthy living, Neighborhood Concepts, Inc . recently started an initiative to not only provide residents of their properties in Huntsville with free health and fitness opportunities, but to also make them available at their door step. NCI partnered with the Huntsville Hospital Mobile Medical Unit to offer routine health screenings. “Due to work and family commitments and a lack of discretionary income, many of our residents often overlook their mental and physical well-being. By offering these services on-site, we can help promote healthy lifestyles that enhance quality of life,” said Mary Ellen Judah, NCI executive director.